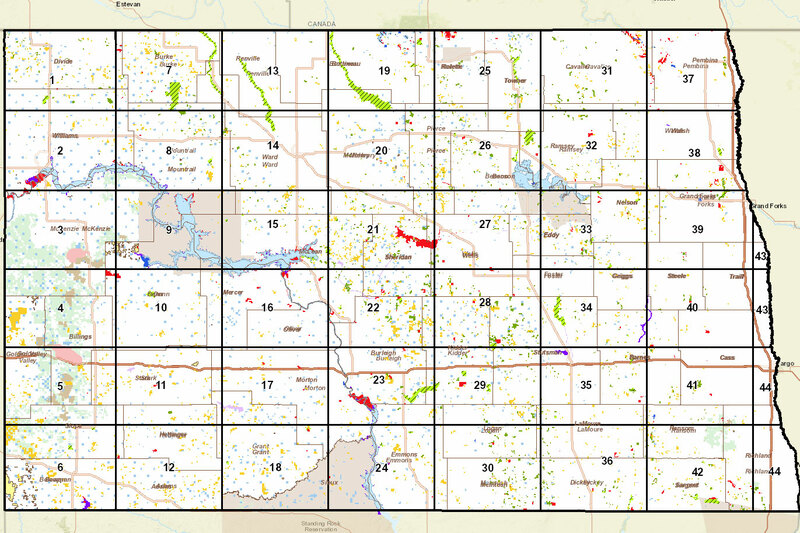 The North Dakota Game and Fish Department (NDGF) interactive maps services provide the user with a variety of information available through the web browser. These map services offer a rich user experience with numerous tools and widgets that allow the user to interact with the map features and customize the map they desire. These maps services are optimized for desktop and mobile devices using responsive design and will format according to the device form (desktop, tablet, handheld). Desktop and mobile viewer that contains Private Lands Open To Sportsmen (PLOTS) information presented in the standard PLOTS Guide format. Desktop and mobile viewer containing fishing waters information including lake bathymetry, stocking data, lake facilities, fisheries status and driving directions. Desktop and mobile viewer that contains a variety of data resources including administrative districts, hunting and management units, fisheries and wildlife data, real-time PLOTS information and other base map features.